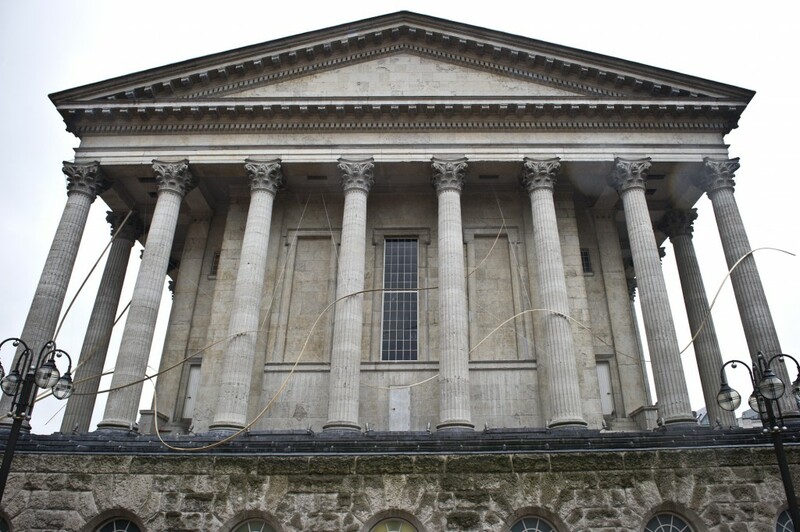 A few months ago Birmingham City Council made a call for a discussion about a new public sculpture in the city. There was lots of debate. Where could it be sited? Does it need to be attention grabbing? How might it define a city? One current of thinking strongly emphasised place-making, Angel of the North style. 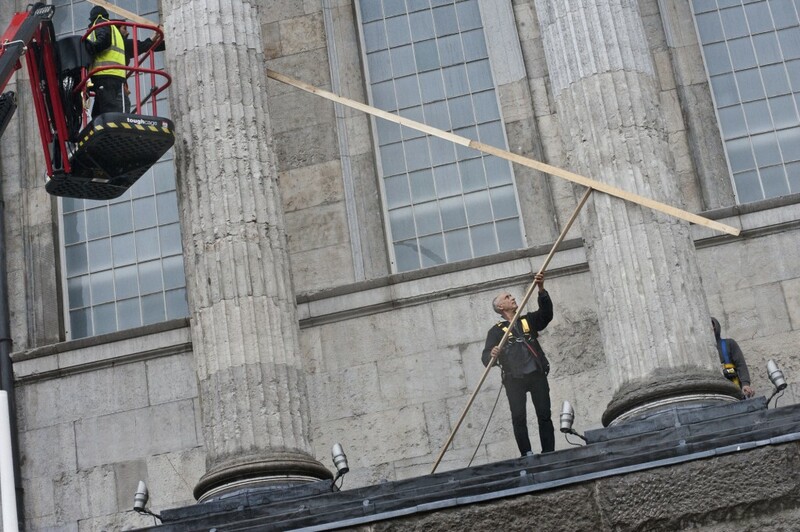 Where as one panelist referenced an artist who made a dent in the ground, that would become a puddle in the rain! 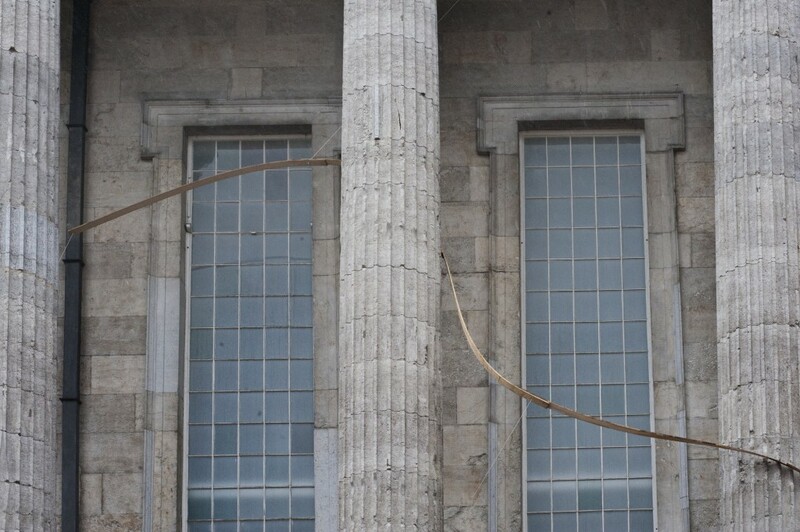 We have proposed a possible solution with Denis Tricot’s Scultpture for Birmingham. Denis Tricot creates intricate looping structures from strips of poplar wood. 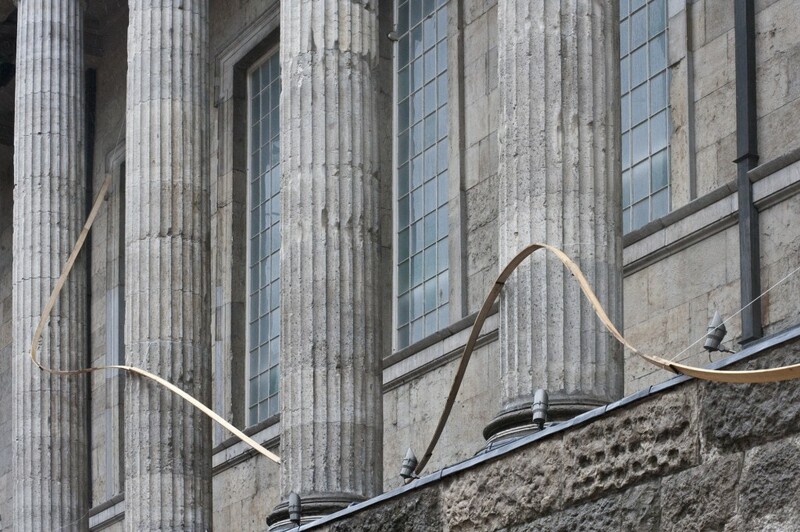 His delicate interventions create new ephemeral relationships with their site. In the past these structures have been used as instruments with wire strung between them, stage sets for dancers to interact with and even set on fire. 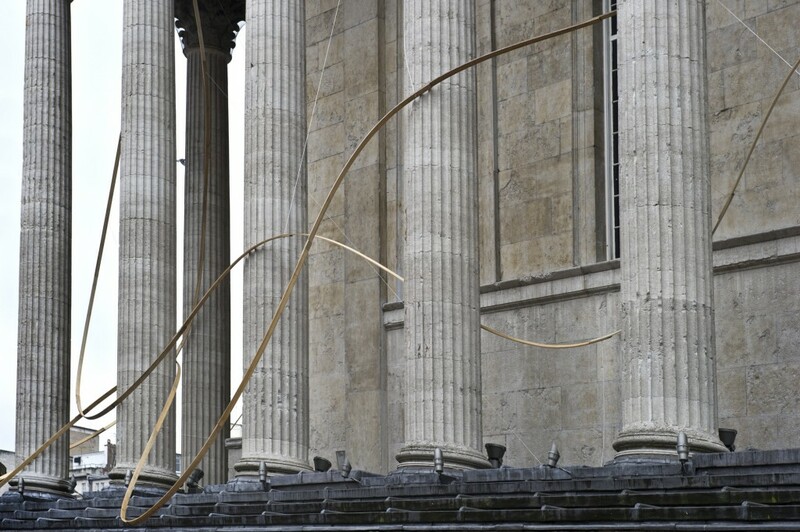 A Scultpture for Birmingham can be seen on the exterior of Birmingham Town Hall until Wednesday 9 October. Next: Fierce 2013 kicks of tomorrow!